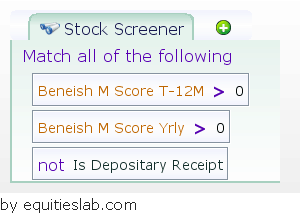 How negatively does a bad Beneish score affect your portfolio? With all of the recent articles regarding red and green flags, I realized I should begin writing articles on the flags within the score. One such flag, the bad Beneish score, is a key component of the red flags score. Now that we’ve gone over red flags, it’s time to look at the other side of the equation and learn about green flags.